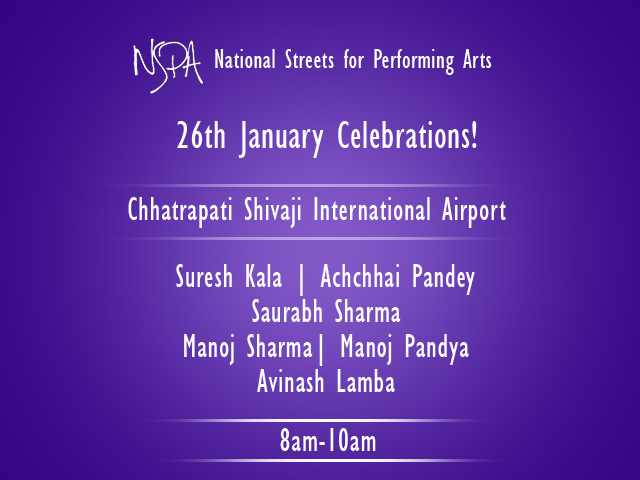 We regularly perform at the Airport but mostly inside but this time around we are going to be performing outside the airport for dignitaries during the flag hoisting ceremony at the Airport. You all too can be a part of it. A special instrumental version of our national anthem has been planned for the event! 8am to 10am outside the Airport, Be there!